Please look below the video to begin reading a full review of the 2013 Acura MDX. It's our obligation to furnish Acura reviews transcribed by the finest automotive writers in the business - it's just one of the things that makes us a prominent Acura retailer in Fort Worth. Acura MDX information you can rely on to make sensible decisions is right here - each paragraph is overloaded with [helpful information and specs - all at your fingertips. What are you waiting for? 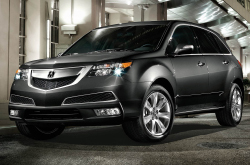 Watch the video below or start reading the 2013 MDX review below! By examining the 2013 Acura MDX next to the 2013 BMW X5, Buick Enclave, Ford Flex and the Lexus RX 350, and you can notice that the MDX outshines those autos in various zones. Pay attention to the hightlights below. Feel the [resassurance] that comes along with attaining reliable repairs by Acura trained technicians, a 12-month long warranty on all jobs, and trustworthy Acura parts. At our Fort Worth area repair center, this and more is available for Acura MDX drivers. Vandergriff Acura's auto service craftsmen will help keep your Acura MDX in outstanding working order. Just a fraction of the jobs our Acura repair craftsmen do includes serpentine belt replacement, engine repair and easy standard oil changes. Moreover, Vandergriff Acura offers customized customer service and honest prices. To find terrific service coupons, click the link under this text right this instant! * Based on 2014 EPA mileage ratings. Use for comparison purposes only. Your actual mileage will vary, depending on how you drive and maintain your vehicle.